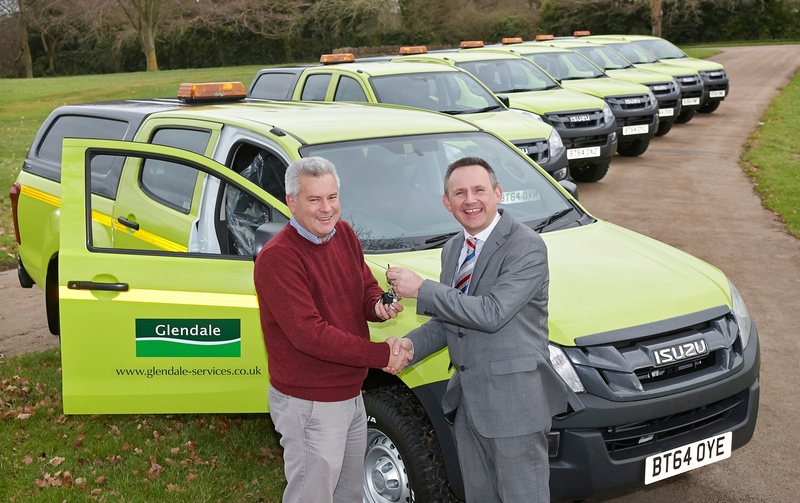 Isuzu UK has designed and developed a range of competitively-priced accessories for its acclaimed D-Max pick-up, allowing customers a far greater degree of customisation. 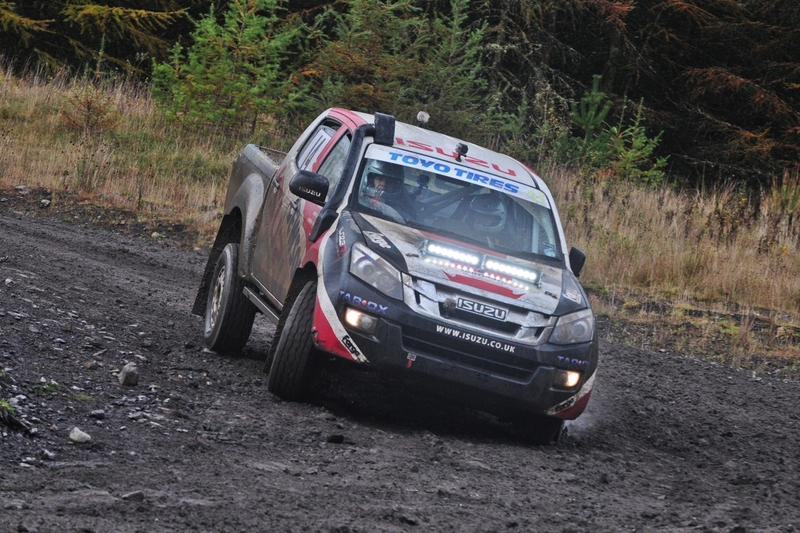 Isuzu’s new accessories range will debut at the 2013 Commercial Vehicle Show (9-13 April) at the NEC, Birmingham. The accessories – available through Isuzu’s entire UK dealer network – includes a variety of stylish, practical and capability-boosting enhancements, all conceived to make the Isuzu D-Max the perfect choice for the most demanding business or recreational pick-up owner. 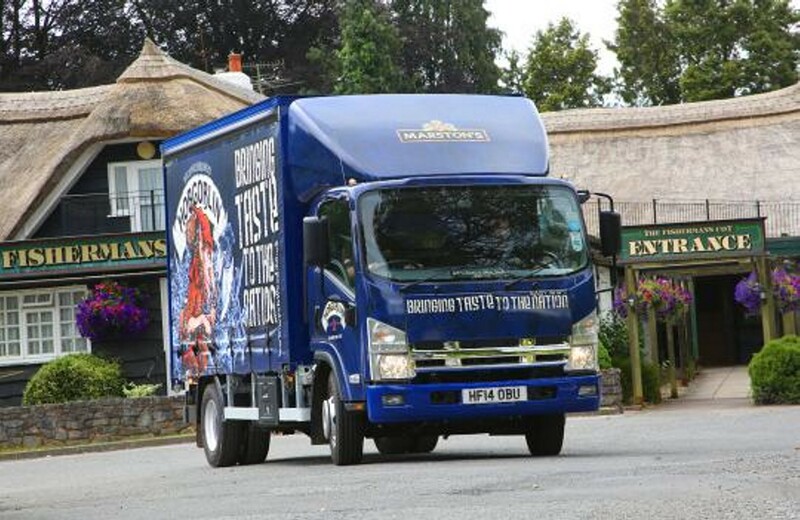 Designed to ensure the Isuzu D-Max stands out from the crowd, a stainless-steel rear ‘style-bar’ can be specified, enhancing the silhouette of the D-Max. Running along the front edge of the load bay, it can also act as an additional tethering point for loose items. There is also a new alloy wheels design, available in 16-, 17- and 18-inch sizes. The 10-spoke design features an enlarged centre cap and all variants can be shod in heavy-duty off-road tyres. 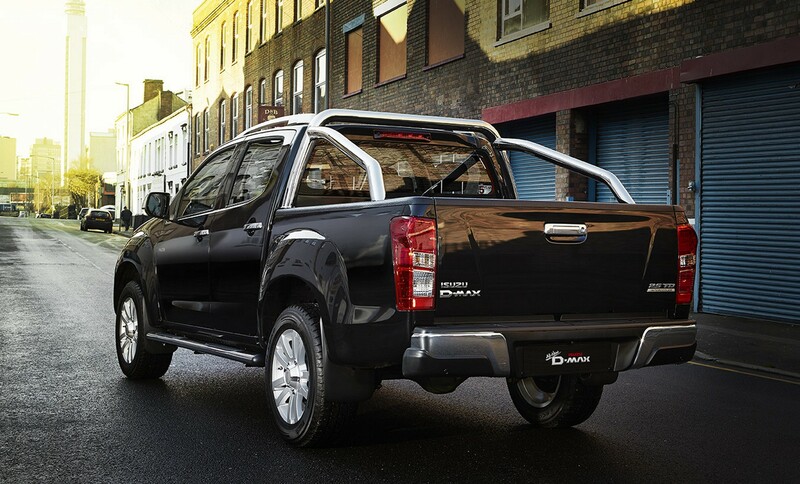 For users that require even more flexible load-lugging capability from their Isuzu D-Max, a purposed-designed roof bar rack can be specified. Able to carry items up to 65 kg, the bars offer additional tethering points which can be removed quickly and easily. A new jaw-and-pin tow-bar coupling can be specified – ideal for users with two or more trailer units with differing attachment points. 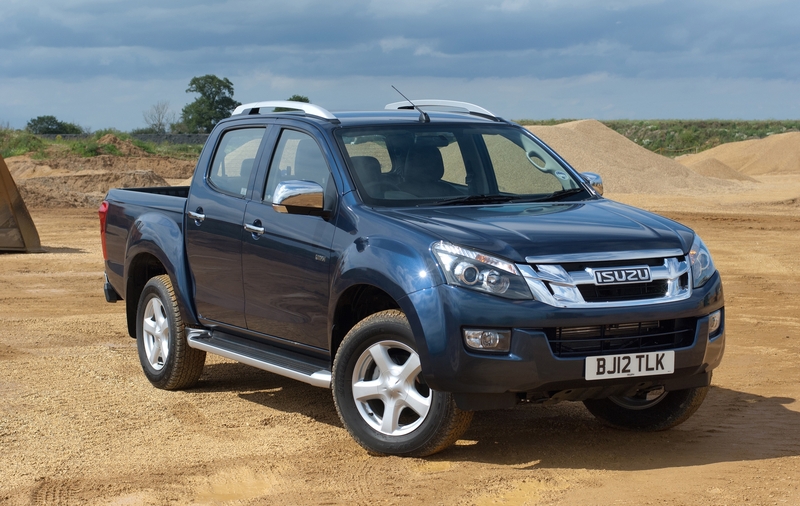 The coupling is approved for the Isuzu pick-up’s three tonnes (braked) towing capacity (Isuzu D-Max 4×4 models). To assist users reversing into tight spots and over tough terrain, a reversing camera and screen kit can be added as an option. The camera is hidden in the rear bumper, and the LCD touch screen integrated into the centre console automatically displays the camera image on the screen when reverse gear is selected. 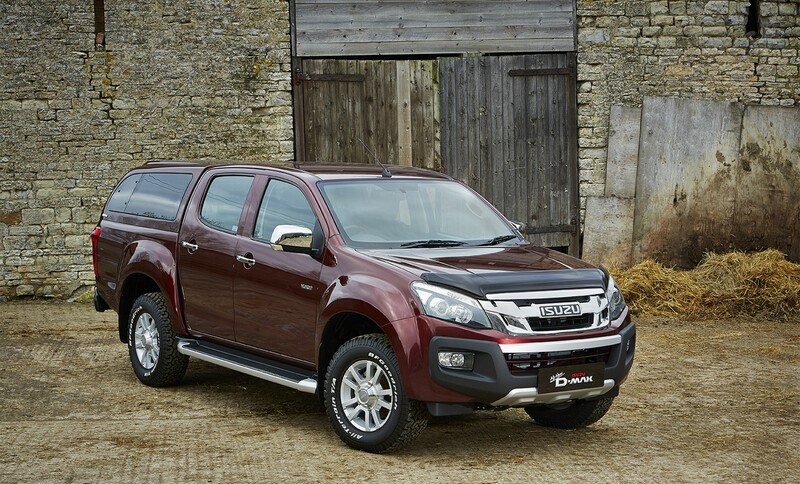 Any of the new range of Isuzu accessories can be specified on any D-Max model, from the entry-level ‘Utility’ 4×2 single cab, through to the range-topping ‘Premium’ Isuzu D-Max Utah 4×4 double cab. The new Isuzu D-Max range includes single, extended (with rear-hinged side access panels) and double cab body configurations. 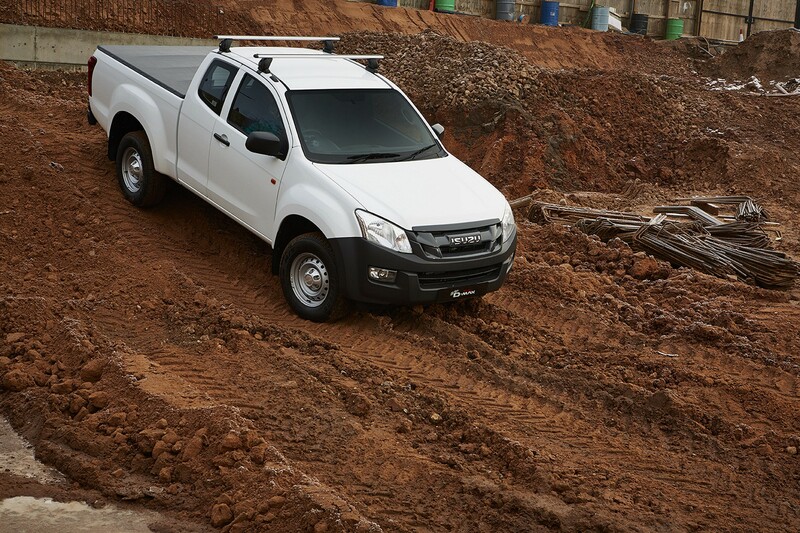 Double cab models are available in four specifications: Isuzu D-Max, Eiger, Yukon and Utah. 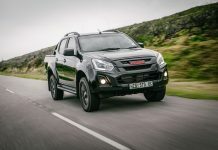 Prices start at £14,499 (CVOTR) for the entry-level Isuzu D-Max 4×2 single cab and rise to £21,999 (CVOTR) for the top-of-the-range Isuzu D-Max Utah 4×4 double cab automatic.